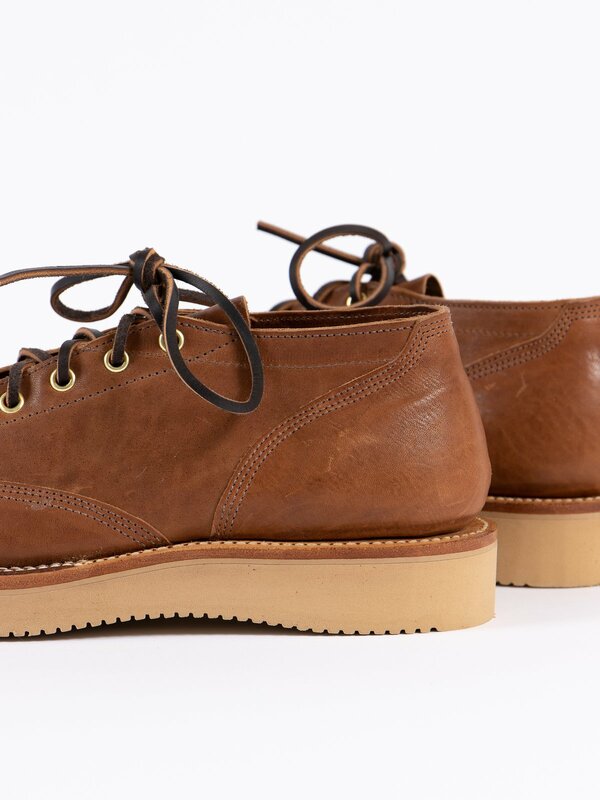 Maryam Tan Washed Horse Hide 245 Oxford Shoe. Made exclusively for The Bureau. 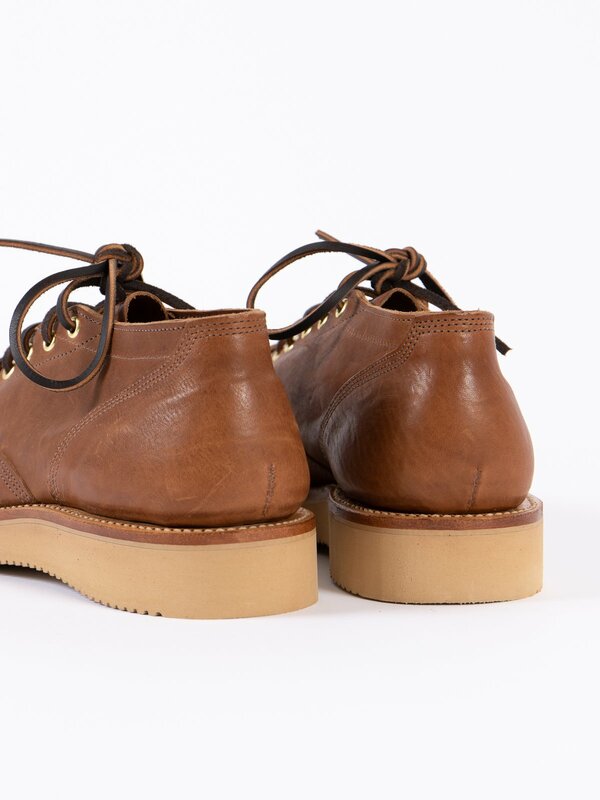 Beautiful washed horsehide upper in Maryam Tan with Kip Vamp lining, brown stitching, 6 brass eyelets, natural leather midsole with white sole stitching, beige Vibram 2021 sole and Ping Pong toe (partially structured and returns to original shape when squeezed). 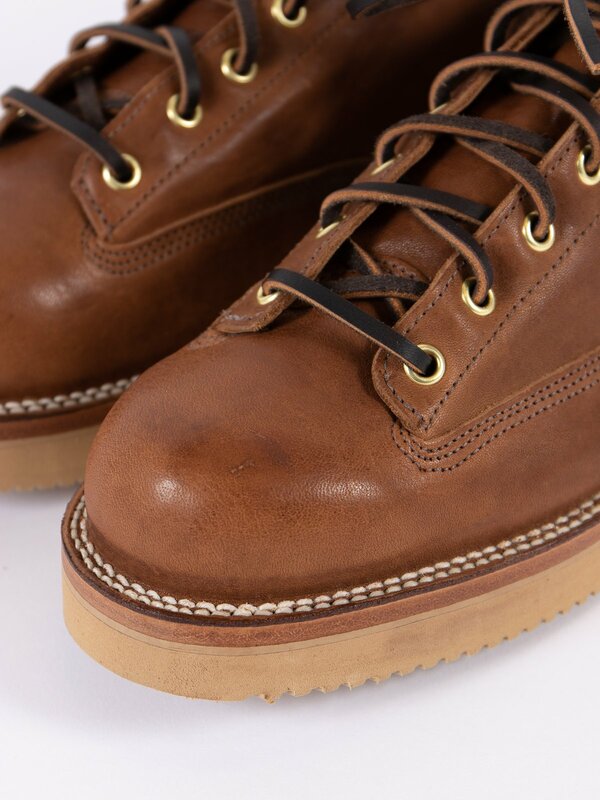 Made on Viberg’s 110 last using Stitch Down production. 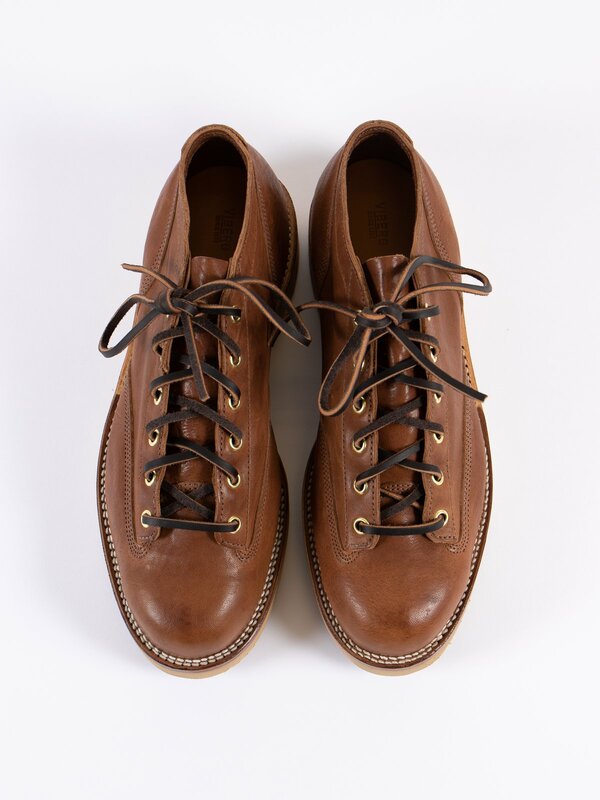 Horsehide is from the front of the horse and has a more grainy appearance than shell cordovan or cowhide. 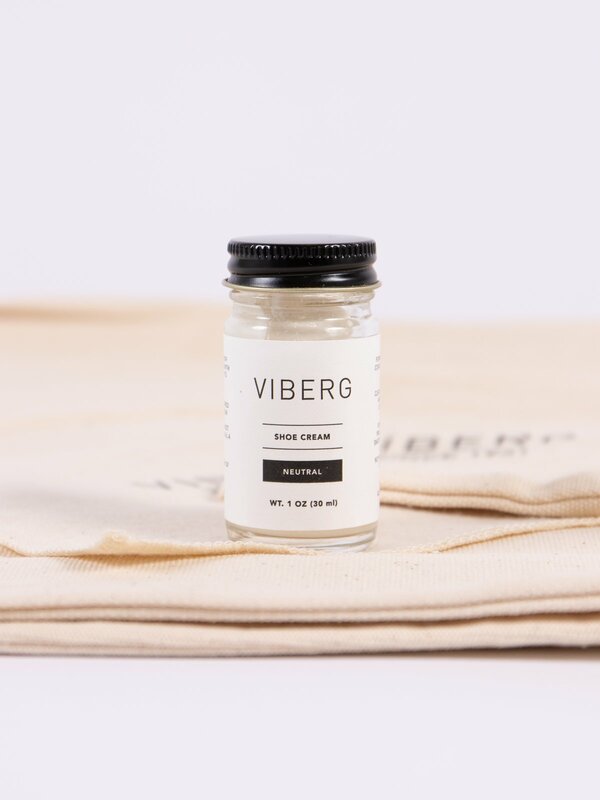 Comes with cotton dust bags, cloth and 30ml neutral shoe cream. 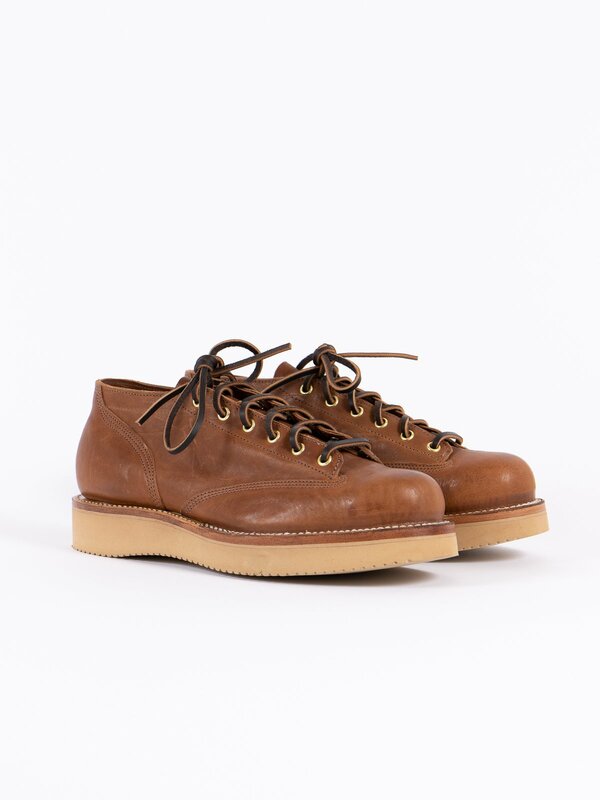 In general Viberg fits about one full size larger than typical US sizing. 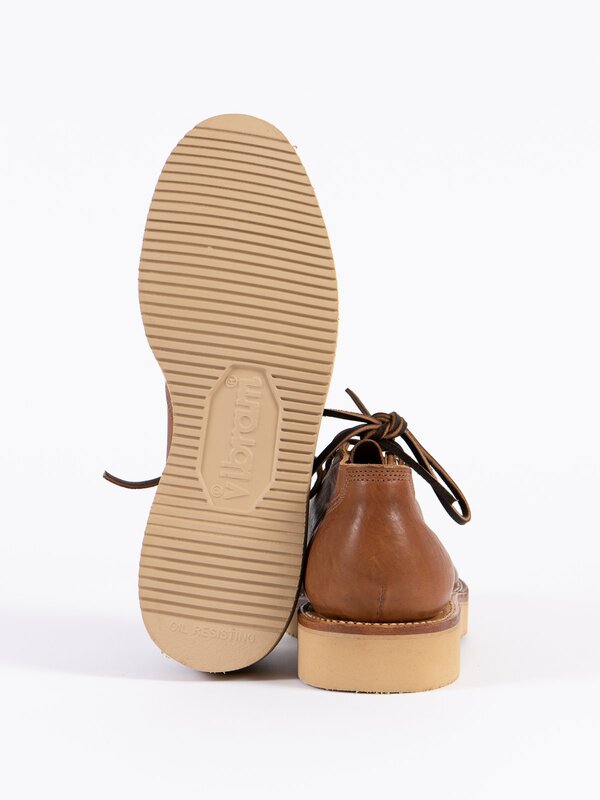 We suggest going with your UK size (as listed) or one size down from your Brannock measurement. 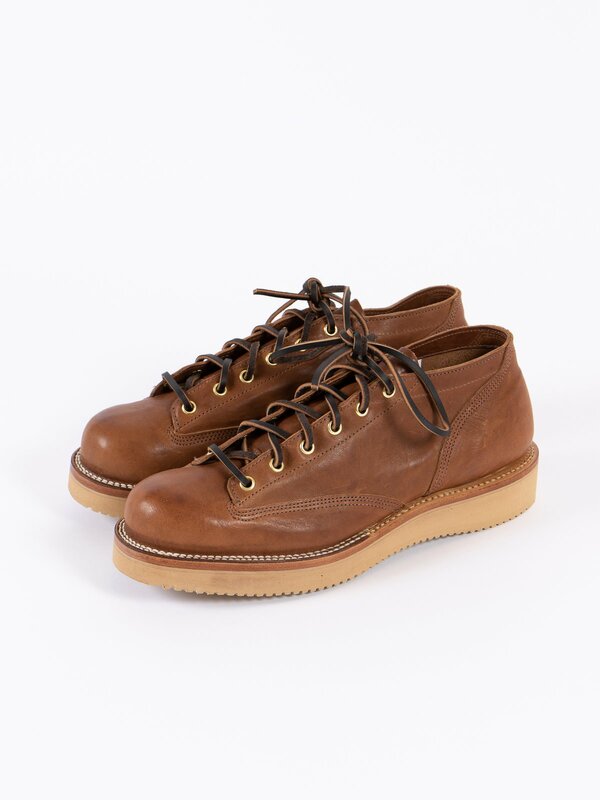 Size example – Viberg 9 = UK9 = US10/EU43.